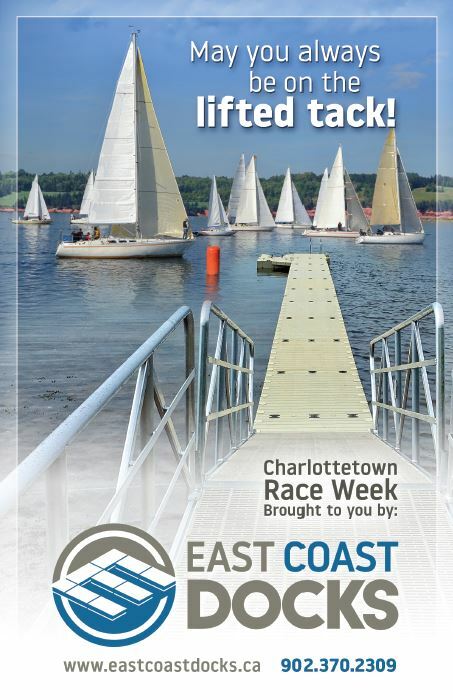 East Coast Docks 2019 Charlottetown Race Week will celebrate 34 years of keel boat racing and has become a welcome tradition among many Atlantic Canada competitors. This year we are offering to host National, Canadian and Regional Fleet and Class Championships, as we have had great success in 2016 hosting the J 24 Class and in 2018 hosting the FARR 30 and the J70 Canadian National Championships. The regatta will be complemented with shore activities and entertainment for competitors, spectators and families. - Copies can be purchase in raw format, as seen without the watermark, by original uncropped version of *.jpg. Please contact Lorne Kelly by e-mail on the photo and the photo number for additional information. * Includes entry for Skippers and Crew to all Race Week shore events. ​The Charlottetown Yacht Club is located in the heart of downtown, within walking distance to excellent theater, restaurants, night clubs and hotels (5 min or less). Book early as Charlottetown is a popular vacation destination -- visit Discover Charlottetown at http://www.discovercharlottetown.com/. Other options include AirBnBs, VRBOs, Holland College or the University of Prince Edward Island. 21:00 Entertainment - Everyone Welcome! 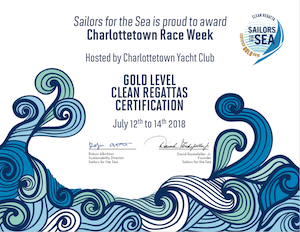 Charlottetown Race Week's Gold Level Clean Regattas Certification from Sailors for the Sea - click to view PDF.